Like any other lawsuit, a Small Claims case begins when a plaintiff files a complaint. To file a complaint, the plaintiff must file the suit in the appropriate county, which is where the defendant lives. If the defendant is out-of-state, the case can be filed in the county where the cause of the complaint occurred. The complaint can be filed by mail or in-person at the Special Civil Part Office in the appropriate county. The complaint must properly list the defendant to ensure proper service. It should also state the amount of money sought, reasons why the defendant owes that money, and must be signed and dated. A complaint should never include a personal identifier which is defined as a social security number, driver’s license number, vehicle plate number, insurance policy number, active financial account number, or active credit card number. There is a $35 fee for filing a suit against one defendant and an additional $5 fee for each additional defendant. There are additional fees involved with serving the complaint on the defendant(s). A summons is issued to all parties stating the date, time, and location of the trial. On the date of trial, the burden is on the plaintiff to prove their case. The plaintiff should arrive at court with any witnesses and/or records necessary to prove the case. Similarly, the defendant should bring the necessary evidence to disprove the plaintiff’s case. If the defendant(s) fail to appear on the date of trial, a default judgment will be entered against them, meaning the plaintiff prevailed due to this lack of appearance. If either party disagrees with the judge’s decision, they may appeal the case within 45 days from when the decision is rendered. The filing of the appeal is more complicated than the original Small Claims suit. A notice of appeal, case information statement, and a copy of the request for transcript need to be filed with the Clerk of the Appellate Division in Trenton. The transcript must be obtained from the Special Civil Part and fees apply based on the length of the transcript or day(s) of the trial. The filing fee for an appeal of a Small Claims verdict is $250 plus a $300 deposit that is not returned unless the appellant prevails on the appeal. 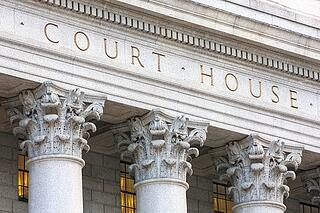 Do you Need an Attorney for Small Claims Court? Generally speaking, no, as the expense of legal fees does not make practical sense compared to the amount of money (damages) involved in a Small Claims case. Hiring an attorney when the plaintiff is seeking to sue over such a small amount of money does not make financial sense. Some states prohibit attorneys from appearing in Small Claims Court, but New Jersey is not one of them. If you are seeking representation in a legal proceeding, other than a Small Claims matter, retaining a competent attorney is crucial. It is important to choose an attorney that you are comfortable with and whom will answer all of your questions. If you are seeking representation, please give us a call for a free consultation. We have office locations in Wayne, Hoboken, Newark, and Hackensack.